… what should I talk here?? Oh, yeah, yesterday on September 26th, Perfume was guested to the concert named “Under the Influence” with other several techno groups. After the summer vacation season, I’d been spending time with not so beautiful women without school uniforms, but finally, I could go to the female idol-related “concert” after almost a month. And the live house named “Shinjuku Loft” was in this Kabukicho, and I could enjoy sightseeing until the beginning of the show. But it was an irony that in the very next to this building, there was another interesting “Engrish” sign. “Hot Men’s Box”…. considering that there is another organization named ‘Girl’s Box’ in this country, this box must be the synonym of Johny’s production. But, or hence, the live house itself was nice. It was old and dirty, but the uncleanness works well and demonstrated the long history of this hall, mainly used for rock concerts. And there was a counter bar in the floor, and it also added the charm to this live house. And smoking was allowed in this hall. I don’t smoke nor drink, but I liked the mood of this live house, which we can’t find in other too clean and mechanical live houses in Tokyo. And in the entrance, as it usually happens to this kind of concert, I was asked for whom I came to this concert. As it was guided in some Japanese forums, I tried to say “Pa–fume desu! !” with a sideward v-sign just as Perfume members introduced themselves, but I was too shy and I could only say “Perfume desu! !” with the first accent on “Perfume”. Anyway, though it was a weekday show opens at 6:00 PM, the live house of almost packed just before the show. And DJ was playing some trance or techno music which were unfamiliar to me. But thanks to the circumstance of Loft, I could enjoy those. And after 30 minutes or so after I arrived there, the music was fade out, and the show finally started. The screen on the stage was raised, and Perfume members has already been there. They played two songs successively. Unfortunately, as I was not so desperate to see this concert, I could only see the face or upper half of them barely, but their costumes looked different from the ones I know. The most mentionable point was Kashiyuka’s hair and her costume. The first impression of me was… “Maid Cafe.” She was putting on some white blouse with a lot of frills (I don’t know how her lower half was like, though), and her hair style reminds me a certain kind of anime-character. After a while, I could understand it was Kitaoji of Ichigo 100% later, but it suited her well, and was cute. As for A-chan and Nocchi, they were as usual. I don’t know why Nocchi looks so cute especially at live concert…. reminding me Gomaki in her golden age. But they look very young, anyway. I can’t believe Kashiyuka turned 18 years old very recently… they look still 15 or 16 to me. And after two songs, as usual, they started long chatting on the stage in Hiroshima accent. First of all, A-chan said she was amazed there are a lot of fans – maybe nearly 500, including other groups’ ones, and she is very pressured by such a lot of fans. And actually, her hand was trembling a bit, and she showed it to the audience. And they asked how and where they came to Loft. A fan answered that he came by bicycle, while others say he’s from Hokkaido… members of Perfume was amazed at their sacrifice because it was raining hard in Tokyo. And almost all audience had something to say, but ruthlessly, A-chan said, “Hai, mo owari!! (It’s over!! )” and the conversation was terminated lol. They also explained how they prepared for this concert, very seriously. As many knows, they are living in the BEE-HIVE (just a name of the dorm), and there is a studio in the underground of the building. Usually, they practice in front of mirrors, but for this concert, they covered the mirrors with curtains. According to them, it is “the serious mode” of Perfume. And they also talked that they had been exhausted because they had a practice for the athletic game of their school. Actually, all members are going to Horikoshi, the high school Anna of Bon-Bon Blanco and Aya or other members of Dream graduated in this April. According to them, they will do some Japanese dance for this event… now I have to envy teachers and students of this school, anyway. And finally – I’m afraid this talk continued over 15 minutes – they prepared for the next song then. Then A-chan said it is “Shon-Shon medley.” At first, I couldn’t get what she said, but I could understand later. Imita”tion”, Attrac”tion”, Founda”tion” – “Shon-Shon(tion)” medley lol. 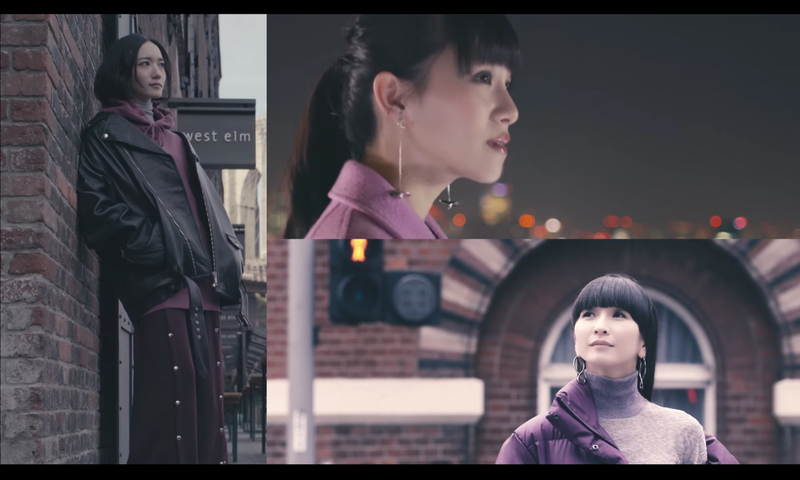 For the people who has only their best album like me, the first 2 songs were unfamiliar, but it was another good songs of Perfume – which is now becoming the very rare idol group who can attract the audience by their music in this world. Anyway, whenever I see them on he stage talking in Hiroshima Accent devoting themselves in their own world, I feel like seeing three cute cats sitting in the sun on the roof…. I mean, it is kawaii, not as girls, but some fancy characters. And then Kashiyuka said they will start “o-New”…. and there is a special choreography for that song. Make the using the “telephone” sign, and wave it on your head. I expected that it is the literary new songs for the next single, but it was just “new” song they play for the first time at a concert. I was lucky, though. And the “Perfume Telephone Ring Ring Ring” was held in the last of this song. And after this song, suddenly, a-chan suddenly started to cry. According to what she told later, she was very nervous before performing this song. Anyway, then they announced that they will have a solo live concert in this December. The details haven7t been cleared, and it was the only news from them today. But the show today was finished with two their favorite finishing moves. In Sweet Donuts, they threw literally small donuts It seems they distributed one assort of donuts, but unfortunately, I couldn’t get any, but it seems there was a message from members in each package. It was a good fan service. And in Perfume, almost half of the audience did the move – “Pa Pa Pa Pa Pa Perfume!! Kyun Kyun Kyun Kyun! !” lines. As it is the 3rd time for me to do this dance, it seems I could understand and do this choreography better than ever. It seems I was kyunned by Kashiyuka. And although there are still some people who came to this concert not for Perfume, amazingly, it looked almost half of the audience, including no-Perfume fans, did this “Kyun!! Kyun! !” part, brainwashed by the cuteness of Perfume. And the show ended. There were two male groups perfumed… no, performed later, but I was a person who are interested in girl’s box, not hot men’s box, so I left there soon. In a nutshell, the lack of change. The main reason why I go to live concert is because there is something new, something different which we can never get only with CD copies. That’s also the why I have to feel like chase almost all the events available when it comes to my favorite group. For get something special, I can even fly to Thai. It must be due to the special quality of their music – techno-, but if compared other idol groups, although it looks very fresh when we see the first, the choreography is too simple and static, and there are no rooms to arrange. The long talk might be fabricated to cover up this weak point of this group. So, I don’t feel like chasing every Perfume shows at this point. Although I like their music very much now (as you can see, they are the 3rd favorite group in the world now), but I don’t feel like going to every concerts, fording every streams without bridges like Okite Porsche. Maybe I’ll be satisfied even when I can go and see once in three months or so. But it doesn’t mean I was disappointed at Perfume itself. They are still young, little kittens, but their completed artistic charm, which represents the another chaos of Japanese culture is still intact. Although they were not matured as professional musicians, but they have a special attractions as such. In other words, they are queens of their “Imitation World”.